Genius? Expressing creative impulses? Isn’t that aiming a little high? I’m socially anxious and just trying to get through the day. Do you hesitate when something new or exciting presents itself? You might tell yourself you tried before and failed or you don’t know how. It is time to be kinder to yourself and not trap yourself because you’re socially anxious and that is that. Say you’ve got a dream or ambition that keeps lingering in your mind. It’s not something you talk about or pursue and now you’re not sure if it will ever happen. Even though you keep coming back to this thought, you continue to do nothing to make it happen. Maybe you put it off out of fear or until you feel ready. It is time to allow yourself to be ready and fail. It’s okay to fail. Fail Fast and Often to Overcome Your Fear, Anxieties and Doubts. Pursuing perfection on the outside, with a sense of loneliness and numbness on the inside, is a dead-end approach. It will sap your energy and leave a big hole in your life and heart. Plus, it’s boring. When you allow yourself to fail, you can get better at everything. You can speed up your growth and expand your comfort zone. You can stop assuming you are the problem and make friends, find love, have fun at social events, and enjoy speaking with interesting people. Pursue your purpose and get so good at failing, that you succeed. How do you get good at failing? You don’t do it by masking your feelings or putting yourself in scary situations. You do it by facing the truth and going beyond labels. Boldly Slice Through Labels: Being Socially Anxious is Not Your Identity. You may perceive yourself a certain way with built up self-limiting beliefs. Whether you are a confident introvert, a shy extrovert, or a shy and socially anxious introvert, cut through the labels by taking action towards your ambitions and interests. You are already a creative genius capable of bold action and deserve a full life as you are right now. If you are introverted, build your life to suit it, it’s not something to correct. If you are shy or socially anxious, you can influence your fear by changing your behavior. Set targets, start small, and build. Instead of putting up a wall and carrying the weight of the world on your shoulders, learn to take action as yourself. Don’t do this all alone, you’ll go much farther with others. Go From Lone Wolf to Inspired Genius. Lean on genius and use your imagination to accelerate your progress. These 24 creative geniuses will inspire you to act through your struggles and fears. They may not all be shy or socially anxious, but they figured something out through their mindset and actions you can apply. We’re talking huge growth potential from these non-affiliate recommendations. By the end of this post, you will have the resources to take bold action, despite fear of judgment, using AWARENESS, ACCEPTANCE, and ACTION. It’s a gift when your desires grow greater than the fear. You can continue to learn how to become more aware and accepting and shift your focus towards what matters. Consider the possibilities of going on a memorable journey to connect and cultivate an imperfect, juicy, bold, and creative life beyond your ego. You may think you don’t want to draw attention to yourself but it isn’t about ego. Find what you want and keep digging deeper to get to the core as you build your awareness. You are accountable for your thoughts, emotions, and actions. If you don’t know what you want, you owe it to yourself to spend time on this. Shift from identifying yourself by how others see you, to connecting with others and living your purpose. This group will help you develop AWARENESS to stop relying on things outside your control and align with your imagination and true self. 1. 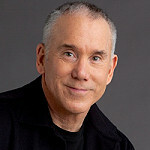 Dan Millman – Best-selling author, former world champion athlete, popular international speaker, Stanford University coach, martial arts’ instructor and Oberlin College professor. In his semi-autobiographical classic, Way of the Peaceful Warrior: A Book That Changes Lives (released as a film by Universal in 2007), we see Dan’s life is set. He’s on the fast track to athletic success, but something haunts him. He finds a mysterious man he nicknames Socrates in an all-night gas station and a life-changing friendship and mentorship begins. Through Soc’s wisdom, lessons, and humor, he learns he had never been awake. An accident proves to be a true test on a larger quest to rebuild everything. He must learn that anger is stronger than fear and anxiety, the value of good habits and action, and the paradox of not taking it all so seriously. He keeps showing up BEYOND HIS EGO and impulses, learning SILENCE and MEDITATION. Break the pattern of the expected path and realize there’s a better life, a WARRIOR, within you. I’d recommend this wonderful book if you want inspiration to find the real you and true meaning. His book The Life You Were Born to Live can also provide clarity and a deep and tailored approach to fulfilling your destiny. Dan is finishing up The Hidden School due out in 2017. Learn more about his 16 books, speaking events and online courses, audio programs and life-purpose guidance on his site. 2. Thandie Newton – Actress known for roles in The Pursuit of Happyness, Mission: Impossible II, and Crash, in which she won a BAFTA Award for Best Supporting Actress. Thandie shares her difficulties being seen and fitting in, promoting awareness and oneness in her TED talk. When she was younger, she felt rejection, panic, confusion, shame, anxiety, and hopelessness. Things changed when she expressed herself with dancing and acting. She stopped getting in her own way and became present in moments of expression, afterwards returning to her “gnarly, awkward self”. Thandie explains we’d think it was about fitting into an ideal but it’s actually a clever way our brains try to cheat out of the “reality of death”. The solution is to find our ONENESS. We will always search until we connect to the Creator through awareness. She also mistook her ability to feel others’ pain as lacking substance herself and learned the feelings she was avoiding was that awareness and connection. She says when we practice more and more, swapping desensitization for living from our essence, incredible things will happen. 3. 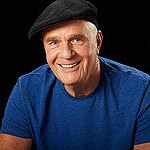 Wayne W. Dyer, PhD – 21 time best-selling author who helped millions find their inner gifts and destinies. Wayne Dyer was regarded as the ‘father of motivation’. It’s inspiring to learn he bounced around foster homes after his mother left him, his siblings, and alcoholic father for a time. Many would have hated their situation and blamed others, but he chose boldness. He learned self-reliance and took full ACCOUNTABILITY for his situation. Dyer taught millions to honor their spirit and know the power of the limitless mind to create anything and transform beyond labels. His book The Power of Intention: Change the Way You Look at Things and the Things You Look at Will Change will help you make the best use of energy. A moment of insight led him to see INTENTION as a field of energy to access, beyond your ego, to reshape your life. Respond to doubt by saying “intent” or “intention” as a reminder to be at peace. Replace negative thoughts with abundance. Talk to your ego and take control. Let go of the need to win, gain, or care if others judge you. This is especially helpful if you are socially anxious. He also said we should see ourselves as infinite and connected to the Source and use the power of IMAGINATION, over ego and willpower, to influence action, change, and peace. Check out his site for inspirational articles and books. 4. Steve Flowers, MS, MFT – author of The Mindful Path Through Shyness: How Mindfulness & Compassion Can Help free your from Social Anxiety, Fear & Avoidance. 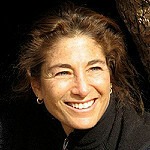 Founder and director of the Mindfulness-Based Stress Reduction Clinic in California. Steve helps people with chronic shyness and social anxiety and learned to let his negative thoughts and feelings just be. Due to difficult circumstances growing up, he developed a fear of judgment. He put up a wall and hid from fearful situations. When he stopped being so hard on himself, and trying to correct himself, he learned to connect. We can break out of automatic pilot and shift towards what matters using mindfulness. Build a MOMENT-TO-MOMENT AWARENESS to see how your thoughts and emotions impact your experiences and apply kindness and self-compassion. I related to Steve’s story and his advice on MINDFULNESS BASED COGNITIVE THERAPY (MBCT). Steve provides first hand insight with great and humorous analogies that stick with you. There are also activities to build your awareness so you can break out of the prison you created to protect yourself. His book is a valuable and actionable resource if you are shy or socially anxious. 5. 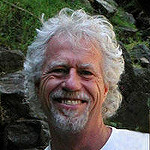 David K. Reynolds PhD – author of Constructive Living and A Handbook for Constructive Living. Leading Western authority for Japanese Psychotherapies. Constructive Living articles have appeared in top magazines. When Dan Millman gives you a recommendation, you take it. I’m so glad I did because Constructive Living is an excellent book of common sense actions to outgrow problems (yes, please).David recognized similar social tendencies he had with the Japanese culture and became an anthropologist and studied the mindful Morita Psychotherapy. He helped himself and developed American Morita to help others, based on the solid Japanese history. 6. Amy Cuddy, Ph.D. – Harvard Social Psychologist and best-selling author of Presence: Bringing Your Boldest Self to Your Biggest Challenges. Top academic journals praise and recognize her groundbreaking research. Amy’s Ted Talk explored nonverbal communication and the POWER POSE and it became one of the most popular talks ever. It was clear this resonated with many people and she poured her research into Presence. After a traumatic brain injury, as a passenger in a car accident, her whole life turned upside down. She left college, doctors doubted her outlook, and her IQ dropped thirty points. She had all types of therapies and her closest friends pulled away. Confused, anxious, and frustrated she did her best to fit in, but felt like an impostor. Her abilities returned once she focused on her presence. She learned and built herself back up as she applied herself towards her interests in Psychology. She graduated and focused on presence, power, confidence, and doubt. Amy explains people will see through fake confidence and real relationships thrive on presence. The goal is to shift your attention from the desired outcome to the present moment to harness your power. Let your body tell your mind how you feel and your mind drive your behavior. This book provides powerful and easy to carry out tools, so you can become IN SYNC with YOURSELF and cut your anxiety. Stand like a starfish (or Wonder Woman) and connect with your core beliefs by writing and spending time with them. We are socially anxious when we are not in tune with ourselves. It’s time to connect inside and out. 7. 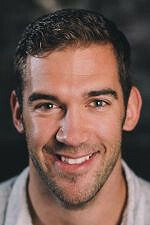 Lewis Howes – Best-selling author, lifestyle entrepreneur, former world record holding pro athlete, featured by major media outlets, presidentially recognized as one of the top 100 US entrepreneurs under 30, and top self-help podcast host of The School of Greatness. One year into a professional football career left him in a cast, in debt, with a lost dream, and living on his sister’s couch. Instead of giving up on his dreams, he expanded his VISION to greatness. He used his instincts, worked hard, and built a powerful network for advice. When ego was no longer a barrier in his life and business, he went from reacting to responding, and his success skyrocketed. Lewis promotes honesty, vulnerability, overcoming fear, and applying the ‘shameless urgency’ needed for success. He learned from the greatest thinkers and doers in the world. His book The School of Greatness: a Real-World Guide to Living Bigger, Loving Deeper, and Leaving a Legacy is that accumulated education. It provides a holistic approach to developing a purpose and a routine and mindset to support it. To tackle fear on a small scale, incorporate positive habits, and build until you are skilled and equipped to handle success. Lewis promotes a win-win attitude to build relationships and to step out of your comfort zone to grow your mindset. Build awareness towards your vision and a life around it to see it through. Check out his podcast, annual Summit of Greatness, and School of Greatness Academy, which I all personally recommend for maximum growth and life quality. 8. 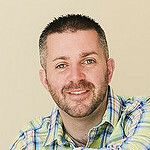 Kain Ramsay – among the top UK’s best selling course creators, strategic life & Career coach. Helps thousands overcome anxiety, cut stress, and increase self-confidence. When Kain left the British Army, it shook his sense of identity. After transitioning to business, he found he could not break out of the cycle of judgment and perfectionism. He decided he could no longer define himself by what he did. He shifted his IDENTITY towards WHO HE WAS as a person. Now he knows if he makes a mistake, it does not define him. He transitioned again to Psychology & the Social Sciences, Neuro Linguistic Programming (NLP), Counseling and Theology. His knowledge, discoveries, and storytelling skills allowed him to create and sell various life-changing self-improvement courses to over 25,000. He overcame his limiting beliefs and shows how small changes in thinking can bring massive results. In his course, Unshakable Confidence: The Ultimate Self Esteem Formula, he teaches the value of shifting from fear and security to FAITH and FREEDOM. Check out his site to learn more and add these enriching stories to your toolbox. It’s time to inspect how you treat your socially anxious self. Are your thoughts fear-based or based upon how others perceive you? Are you afraid anything good will vanish or that nothing ever works? You can’t take meaningful, bold action until you accept who you are. You can fake it in the short term, but as you move beyond the ego as a driving force, it will be time to embrace and accept yourself to open your world in unexpected ways. Your intuition, creativity, connections, and life can flourish. You can then accept others and your relationships will deepen. These eight will help you to heal your wounds and find joy so every day can be fresh and you can be open for boldness, unexpected turns, feelings, and growth. 9. 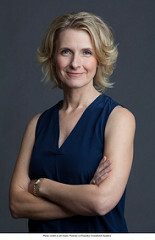 Elizabeth Gilbert – Best-selling author who gives us permission to live a vibrant and creative life. Known for Eat, Pray, Love: One Woman’s Search for Everything Across Italy, India and Indonesia and Big Magic: Creative Living Beyond Fear. Time Magazine named her as one of the top 100 most influential people in the world. Elizabeth collects experiences and pursues stories near and far when curiosity strikes. By the end of Big Magic, you will think you made a cultured and hilarious best friend. As a child, she feared everything, but her mother would not allow her to use that as an excuse. She offers that fear is boring but important to address it so it won’t run the show. She shares the most hilarious and inspiring letter to her fear. You need to GIVE YOUR FEAR ROOM to join, but not decide. Elizabeth says we are all ENTITLED to CREATIVE LIVING, and it takes BRAVERY to FIND THE STRANGE JEWELS buried deep within us. These magic ideas are floating out there wanting to find a home but need you to be open to them or they will move on to someone else. Dive deep and apply all of yourself to discover them. Greet your socially anxious feelings and fears with a letter and crack open a world of curiosity to pursue your creative life. 10. 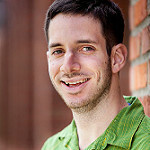 Danny Raede – CEO and co-founder of Asperger Experts, National Council on Independent Living’s Diana Vietz Award winner. He shares his passion for leading a full and rich life and has earned over $1 million to help parents better understand their children. What Danny has learned can be very helpful to the socially anxious. He believes self-knowledge is a great gift. He educated himself to take action and overcome fear and doubt to live a successful, full, and independent life while living with Asperger’s. As a child, he struggled with school, simple assignments took hours, and he spent most of his time numb and stuck with limited interaction and panic attacks. When he went to college, he changed his situation. He committed to studying success, personal development, psychology, and business. He discovered he needed to get out of DEFENSE MODE. Rather than fighting anxiety, he learned the solution in applying UNCONDITIONAL LOVE and TRUST. He built up his life and teaches others to do the same. 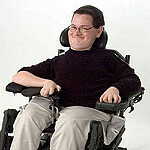 His site offers courses, videos, articles, workshops, and a support group for people and parents of kids with Asperger’s. He runs his company with parents, life coaches, and people on the spectrum and when he isn’t at work, he enjoys a great life with great friends and travel. 11. Brené Brown, PhD – Best-selling author, research professor, founder and CEO of COURAGEworks. Her research on vulnerability, courage, worthiness, and shame can help you accept. In her book Gift of Imperfection: Let Go of Who You Think You Are Supposed to be and Embrace Who You Are, Brené recommends being aware of anxiety. Apply CALMNESS AND STILLNESS. This will help you respond instead of react. She collected thousands of stories from a diverse group of people. The one word she captured from reading them was ‘WHOLEHEARTED’. Being a pattern seeker, she made a “Do” column for positive words and a “Don’t” column for the negative. She was shocked to find words she had given value in her own life were showing up in the negative column. Hard work and following the rules was lining up with perfection, fitting in, and judgment. She knew she wasn’t living or loving with her whole heart and went on a soul-searching journey captured on her blog. She encourages boundaries, meaningful work, paying attention to and taking accountability for your feelings, and EMBRACING VULNERABILITIES. Her TEDx Houston talk, The Power of Vulnerability is one of the top five most viewed and her book offers down-to-earth, honest perspective. It provides a great guide with tangible steps and inspiration to apply a heartfelt approach. Clear away harmful clutter, don’t get caught up in self-doubt or just doing what others expect you to do, and feel again. Overcome what is keeping you from living with your whole heart. 12. Glennon Doyle Melton – Best-selling author of Carry On, Warrior: Thoughts on Life Unarmed. Founder and president of Together Rising, a non-profit raising over $4MM for vulnerable women and children and featured on major media outlets. Glennon explains on her award-winning blog that years ago, on a Mother’s Day, she discovered she was pregnant. She was unmarried and addicted to negative and destructive habits and not wanting to feel. Right there she committed to turn around unhealthy relationships, addictions, and food around to a full and fabulous life. She explains she is most proud of being a recoverer who got up from the cold bathroom floor, pregnancy test in hand, to show up for life. Alcohol and eating disorders masked her sensitivity and feelings to hide and feel safe. Her philosophy now is that life is ‘brutiful’, that’s BRUTAL and BEAUTIFUL. She said she has learned you can’t have one without the other. Bold and full living only comes when you embrace both. Her writing is rich, honest, humorous, and inspiring. She learned to work with her strengths, focusing on what she likes instead of being on the receiving end of life. She let go of perfection and focuses on her higher purpose. She has an amazing wit and humility. I recommend her blog and book where she says you can watch her fall and get back up again, just like the rest of us. Allow for the brutal socially anxious events to open up your world to the beautiful and soak it all in for a full life. Tara explains the importance acknowledging and addressing your feelings with techniques offered in her book Radical Acceptance: Embracing Your Life With the Heart of a Buddha. Tara’s need to apply self-compassion and connect with others drew her to Buddhism. As a teenager, she was successful on the outside but sensed a distance which evolved into anxiety and fear of rejection and disappointing others. She became over driven, depressed, and lonely. When her friend said she was learning to be her own best friend, she realized how far she was from that. She was hard on herself and avoided pain with addictions and by pursuing achievements. She realized it was time to be kinder to herself. You can HEAL YOUR HEART and “trance of unworthiness” with AWARENESS and COMPASSION. Find freedom to the degree with which you accept yourself. She shares the story of a student who had sat at her mother’s bedside as she was dying. The mother told her daughter that her whole life she thought something was wrong with her and shook her head as if to say ‘what a waste’. Stop battling yourself and heal your fears and wounds so you can connect and be your best expansive self. Now Tara will always pause, ask herself, and name what needs her attention and follow through to connect and be genuine. Check out her website for a free booklet on how to meditate and for downloadable lectures. Apply this healing to forgive socially anxious experiences and wounds. 14. Pat Flynn – Best-selling author, advisor, blogger, and keynote speaker. 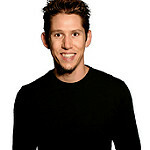 Host of top rated business podcast The Smart Passive Income Podcast with over 30 million downloads. He demystifies running an online business and has created multiple businesses bringing awards and features in The New York Times and Forbes. I’m sure he is so happy he lost his job years ago, but at the time I’m sure it was overwhelming. Pat responded to this by taking an unconventional path. He used knowledge he gained in architectural design and self-education to build a site from the ground up and wrote an ebook. He chronicles this journey in Let Go, explaining there was a moment where his book was ready to be live, but fear and doubt tugged at him. Pat said it strikes when he does something new or uncomfortable that can change his life. He realized there was really nothing significant to be afraid of and he took a chance on himself. Pat has since built up multiple massively successful businesses and teaches others to do the same and doing it with integrity. He uses the same mindset with his networking to start conversations and when he is a keynote speaker. Just starting is what he has learned makes him comfortable. By choosing how he reacts to UNPLANNED EVENTS, has shaped his reality and now sees these as SEEDS of OPPORTUNITY. Consider an adversity or opportunity and choose how you can react to it to shape your life. It’s not about money, it’s about believing in yourself and your path. TAKE A CHANCE, that first uncomfortable step with your goals and the people you meet. Check out his site if you are also curious about creating an online business or podcast as part of that plan. 15. Susan Cain – Best-selling author, most known for Quiet Power: The Secret Strengths of Introverts and Quiet: The Power of Introverts in a World that Can’t Stop Talking. Co-founder of Quiet Revolution. Susan prefers “listening to talking, reading to socializing, and cozy chats to group settings”. She helps introverted people unlock their power and apply their special talents and gave one of the most viewed TED Talks of all time. There are ways to tune into your strengths to negotiate, give speeches, and built relationships. Susan’s books explain and celebrate introverts. She says it’s perfectly acceptable to be introverted and everyone should NOT HAVE to STRIVE to reach the EXTROVERTED IDEAL, except for when it will serve them. Whether you are introverted or extroverted, we can all learn about different temperaments to understand how best to connect with one another because we all need one another. Introversion is not something to cure, it’s just not preferring social stimuli. You should have our own goals and she is proof. We should all tune into and apply our natural gifts and not take out good qualities to fit into an ideal. Introspection, sensitivity, and caring what people think are valuable. A great step towards accepting ourselves is to highlight what makes us unique. Use your strengths and traits while LEARNING DIFFERENT TEMPERAMENTS. Her books help you to do this whether you are introverted or extroverted. Time for strategic, bold, creative action. Remember, you are already good enough to start so don’t wait. Map out a plan and stay focused to set your stage so you won’t get stuck. Don’t over think it, just a simple working plan. Once it works, just learn and repeat and your confidence will grow. You won’t want to turn back once your life starts to evolve. Persistence is the key to making these work. You will make mistakes but it’s how we all learn. You will build a strong network and work your way up to bold decisions and action. You can become a leader in your life. These eight will help you create action plans, strategies, and techniques that work. Their inspiration will help if you ever worry you never finish because the journey seems too hard. Commit and pour into your new life. 16. Hal Elrod – High rated keynote speaker, host of top rated Achieve Your Goals podcast, best-selling author of The Miracle Morning: The Not-So-Obvious Secret Guaranteed to Transform Your Life (Before 8AM), and ultra marathon runner. Hal appeared in many media outlets and books, including the Chicken Soup for the Soul series. After a driver plowed into Hal’s car, doctors declared him dead for six minutes. He was in a coma for six days and then believed he may never walk again. He proved to be a warrior and wants us to know we are each capable of overcoming adversity and creating extraordinary results. Miracle Morning presents the incredible power of a positive morning routine to set your whole day up for success and realize cumulative benefits. Start your day with Life S.A.V.E.R.S. That’s SILENCE, positive AFFIRMATIONS, VISUALIZING your success, EXERCISING, READING, and SCRIBING. Expand your mind, body, and soul before others hit the snooze button. Gain clarity with a meditation and silence routine. Positive Affirmations and Visualization can help materialize your purpose when paired with action. Get up and move for just minutes and it will improve your health and mindset. Reading will supply a limitless river of inspiration and knowledge. Writing for minutes a day can provide an outlet of stress or become your completed book. The possibilities are only limited by your imagination. Don’t settle for a mediocre life, have the discipline and COMMIT to a 30 DAY PRACTICE. You have the control to carry out your purpose. Tailor it to fit your life. Become less socially anxious by using these tools to build a positive morning routing. 17. 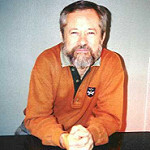 Anthony Metivier, PhD – Best-selling author, professor, and memory course creator. Anthony developed The Magnetic Memory Method. 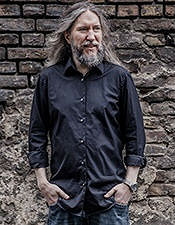 He describes it on his site as “an elegant, effective and fun approach to using Memory Palaces, mnemonics and other memory techniques” to remember and access any information. After a friend who wanted him to be a high school teacher passed away, he made a tough decision. He realized it wasn’t for him by getting clear on his purpose and now he educates thousands. First, he learned to SELF-EDUCATE. He grew up struggling with depression, cut school (which he does not recommend), and would listen to interviews in the mountains and read encyclopedias and books. He learned to REVERSE ENGINEER SUCCESS from a diverse group of people he admired and developed SYSTEMS and TRACKED PROGRESS to spot gaps, bring consistency, and increase confidence. Anthony co-teaches a top-selling course on branding which can also help you get clear on your story through your experiences and adversities. Honesty is important here. It’s not about glamour or meeting an ideal. Others may have the best intentions for you, but you have to DO WHAT IS RIGHT FOR YOU in your heart. I haven’t learned his memorization technique, but I believe by committing yourself to a MIND TECHNIQUE or working on your BRAND stories, you can increase your mind discipline. You can replicate it to overcome shy and socially anxious behaviors and any challenges to achieve any goal. 18. 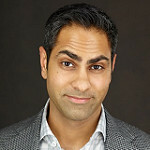 Ramit Sethi – NY Times best-selling author of I Will Teach You to Be Rich and acclaimed finance adviser and entrepreneur who is into big wins. Ramit gives 98% of his stuff away, better than the paid stuff out there and is now applying that approach and methodology to social skills. Goodie! These skills helped him go from a self-proclaimed “awkward weirdo” Stanford college kid to a well-spoken financial guru. He has a Fortune spread, a Good Morning America appearance, and is in a photo with Warren Buffett in Forbes Magazine. Like many of us, he made financial and social mistakes but instead of giving up, trying harder, or waiting for help, he cut through the excuses and led the way. He recommends PLANNING REAL SCENARIOS and taking action, instead of thinking in the clouds. Pay attention to the feedback you get in real life. PRACTICE and CALIBRATE. Each time you experiment, you’ll want to increase what works and decrease what doesn’t, using the feedback. Check out his powerful free help with shyness, social skills, getting invited to events (and spend less Friday’s alone) and planning group meetups. You can build a tangible plan for real-life scenarios right now and then practice and calibrate yourself each day to become less socially anxious. If you need help with understanding your finances, also check out his amazing site and book. He tells it like it is with humor and gives real, valuable, and actionable advice. 19. 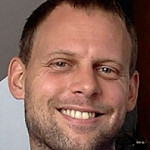 Tim Ferriss – Best-selling author, angel-investor and adviser, entrepreneur and lifestyle design pioneer, and human guinea pig, featured by more than 100 media outlets. Known for his The 4-Hour Series. The 4-Hour Workweek, Expanded and Updated: Escape 9-5, Live Anywhere, and Join the New Rich can help you break out your shell by no longer rationalizing your fears. We all have anxieties and doubts and can rise above them with bold and unconventional action, figuring things out as we go. His approach is fresh and exciting, backed with tons of research and testing, and presented with genius simplicity. -He temporarily left Princeton frustrated, worked, opened gyms in Taiwan, learned kickboxing and won a national championship, returning to graduate. -He emailed a CEO 32 times landing a dial for dollars job. After a year of 12-hour days, he created a company and his income increased from $40K per year to $40K per month. -Burned out, he remained in Europe, empowered others, and unplugged except for one hour a week. To his surprise, he found his profits increased 40%. This may seem like a stretch to most of us, but you can challenge assumptions and expand your comfort zone in your own way. Tim’s approach is to not do what everyone else is doing or wait for things to happen. He makes INTERESTING DECISIONS, steps away and towards EXCITEMENT when things don’t seem right, and returns with unexpected solutions. He DOESN’T SETTLE, EVEN FOR SUCCESS. When you fail, try again or try something different towards your passions. If you need to learn something new on your journey, check out the 4-Hour Chef to learn how to learn. 20. 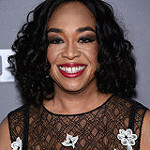 Shonda Rhimes – Award-winning creator of Scandal, Grey’s Anatomy, and Private Practice. Time Magazine named as One of 100 People Who Help Shape The World. Called out by her sister for always saying no, she decides to say yes for one year. She documents that journey in Year of Yes: How to Dance It Out, Stand In the Sun and Be Your Own Person. She starts off by saying she is old and likes to lie, which is so fantastic because she seems incapable of lying. With a stack of declined invites and a speech folder called ‘Crap’ (isn’t that great? ), she changed her life with one powerful word: “Yes”. She learned to BRING the YES to HER LEVEL, to hold herself ACCOUNTABLE, and DO the HARD WORK. I love where she agrees to do Jimmy Kimmel Live, but not Live. It takes boldness to say yes and to say it on your own terms. This courage loosens up her shyness, awkwardness, and social fear. Now she makes connections and gets involved with new and unexpected projects. She learned to express herself and live a bold and full life. She talks about being a warrior at work and applying it to other areas of her life. Each yes required her to take a step-by-step, and I’m sure painful, process she compares to surgery. She says the problem is the open chest, the wound is challenge, and “yes” is the operation. It’s worth it for the change. On her website she says EVERY YES CHANGES HER. So, are you bored or numb? You may think there aren’t enough hours in the day, but you will find you have more quality time when you can cut through wishy-washy, life-sucking apathy. See what happens when you say yes, despite being shy or socially anxious, and get inspired by her hilarious, down-to-earth, and inspiring book. 21. 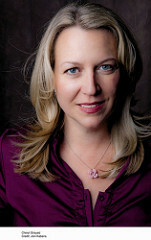 Cheryl Strayed – Best-selling author of her memoir Wild: From Lost to Found on the Pacific Coast Trail, later adapted into an Oscar-nominated film. She also wrote Tiny Beautiful Things, Brave Enough, and Torch. Cheryl will inspire you with her example of bravery and fierce step-by-step approach. Her take on fear in Wild is that it’s born in the mind as a story and you can TELL YOURSELF A DIFFERENT STORY. Her story plays out on an epic 1,100 mile hike along the Pacific Crest Trail, through California to Oregon to Washington, as a physical and emotional journey of closure and self-discovery. She must confront the grief over the death of her mother and the loss of her husband and herself as a result of the addictions and betrayals used to avoid that grief. Without sharing her reasons, Cheryl moves through her difficult and personal journey one step at a time. A pamphlet on hiking she had seen was her only hiking experience up to this point. It’s an honest, gritty, and beautiful story and you can apply this fearlessness directly to your own life. You need not go on an 1,100 mile hike, or maybe you do, but commit and dedicate yourself to a mission and journey. WORK HARD THROUGH IT, ONE STEP AT A TIME, towards your bold life. Move through your socially anxious thinking. Read Wild for inspiration to take authentic and personal action that will put you in the driver’s seat. 22. Sebastiaan van der Schrier – Social Confidence Coach who blends Western traditional and Eastern Energy psychology. He makes Emotional Freedom Technique (EFT) accessible and effortless social confidence attainable. Seb experienced severe social anxiety. After years of dealing with the negative feelings that go along with social anxiety, like fear, guilt, and shame, he chose to pursue solutions until he found what worked. He put himself in awkward situations of rejection, gaining short-term confidence only to have to start all over again. Nothing was working until he discovered EMOTIONAL FREEDOM TECHNIQUE (EFT). After studying it and working with top therapists and practitioners for years, he learned how to apply it STRATEGICALLY. He fined tuned a STEP-BY-STEP approach that’s helped him and his clients. Everyone has their own timetable, but he’s seen it dramatically speed up results by REMOVING the LEARNED NEGATIVE ASSOCIATIONS. He now enjoys effortless social confidence, a full life, connections, and a successful business as a digital nomad. Seb offers free videos on YouTube that teach EFT and his Social Confidence System addresses social anxiety from all angles. If you are socially anxious, he says it doesn’t have to be a painful, awkward, scary experience to face your fears. There are gentle, effective, and lasting alternatives. On his podcast Social Anxiety Solutions, he interviews top therapists, experts, and practitioners and you can find tangible, unique, non-gimmicky, and easy to carry out ideas here. To hear more about his journey, listen to our interview where he took an exception and let me interview him. 23. Jon Morrow – CEO of Smart Blogger: a company dedicated to teaching you what it takes to attract loyal readers, get more traffic, and become a respected authority. His company built an audience of over 100,000 subscribers and makes $100k monthly. If Jon’s inspirational story doesn’t get you taking action, I don’t know whose will. When he was one, a doctor diagnosed him with Spinal Muscular Atrophy, a neuromuscular disorder. His mother refused to buy into the one year to live outlook. He would go on to fight pneumonia 16 times in 16 years. His mother insisted on continuing the fight for him to live the best life over a safe and boring one. He credits her as the reason he’s one of the oldest survivors of this disorder. Then, he was in a car accident breaking his legs in 14 places. With his money already going to medical bills, he quit his job and applied his mother’s warrior mentality towards his work ethic. He fought and continues to fight with the best work and writing he has in him, pouring all his time and self into his blog. 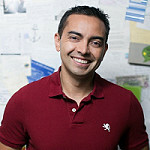 When the blog was nominated as a best in business/money, he sold it for five figures and moved to Mexico to start a new business focused on helping people. I’m writing to you now due to his inspiration and knowledge. People will try to discount you. You can’t wait for the world to hand you success or to wait to not be shy or socially anxious. You must THROW YOURSELF into your WORK with all your HEART and EFFORT despite it. You, your ideas, and the people you can help are all WORTH IT. Expect nothing worthwhile to be easy. Apply this mindset and work ethic to anything you want despite adversity. His site is an amazing resource of valuable information about running a blog at any stage. 24. 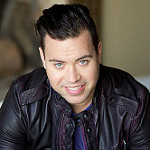 Jordan Harbinger – Lawyer turned Social Dynamics expert and Entrepreneur. Owner and co-founder of The Art of Charm dating and coaching company and top 50 iTunes podcast. Forbes named him one of the 50 best relationship-builders anywhere and Inc. Magazine called him “the Charlie Rose of Podcasting”. Jordan’s company holds boot camps and coaching sessions for men that want to improve their emotional intelligence and confidence. He brings business sense and industry knowledge and uses a contemporary approach to teaching. He explains the value of HAVING A SYSTEM and LEARNING TO CALIBRATE. Being an introverted person, he shared he would overcompensate early in his life. He learned to dial back and find a balance while staying his honest and relatable self. He also says you think you will remember how you know people, but it does not work this way. Jordan recommends TRACKING PEOPLE YOU MEET along with something about them to help reference how you can connect people that can help one another. This may seem like it should come naturally, but us shy and introverted types might lose the art and value of connection without a strategy like this. His philosophy is to always LEAVE PEOPLE BETTER THAN YOU FOUND THEM, even if just with a smile and it will return to you when you need it. If you do not yet have a network, just start. It’s time to bring more flavor to your life and become a connector. Check out his website or podcast for more tools and techniques. Are You Ready To Declare War on Inaction? Many struggle have moments where they are shy or socially anxious. Be one that breaks free and takes bold action despite it and through it. You may have been timid up to this point, but you cannot unlearn a sense of entitlement once you have it. You are entitled to an exciting and rich life. Through the stories of these 24 creative geniuses, you have no more excuses to living your own creative and bold life. Do you settle, not know what you want, or not know what to do when fear strikes? You are accountable and have the power to change and overcome any adversity with intention and imagination. Know your oneness. Get beyond your ego and discover you are a warrior through meditation. Apply Mindfulness-Based Cognitive Therapy to increase moment-to-moment awareness. Build a vision of greatness towards what you want. As you pursue it, base your identity on who you are and have faith in the best possible outcome. As you move forward, use your behavior to influence your feelings. Get strong with a power pose and write about your core beliefs to sync inside and out. Accept yourself and others. Embrace your vulnerabilities, there’s nothing to correct in yourself. Use your strengths and traits and set the tone by accepting different temperaments. Give your fears and anxieties room to join and apply calmness, stillness, love, trust, awareness, and compassion. Take a chance on yourself and be brave and open to the hidden jewels buried deep. Live with your whole heart, with the brutal and beautiful. See unplanned events as seeds of opportunity. Build good habits starting with the first hour of your day. You can meditate, use positive affirmations, visualize success, exercise, read, and write. Consider a strategy like a memorization or mind technique or spend time on your brand to get clear on your purpose. Say yes on your level. Make interesting decisions to create excitement and don’t settle, even for success. Throw yourself into your work with all your heart and effort. Address skeletons one step at a time and tell yourself a different story than fear. Overcome anxiety with a strategic approach, like Emotional Freedom Technique, and reference experts as needed. Educate yourself to reverse engineer the success you want. Develop systems, plan scenarios, practice, and calibrate. Become a connector to network and track people and leave them better than you found them. You are responsible, entitled, and capable. You have the tools and systems to take action and go after what you want. Otherwise, another year will go by and nothing will change. You’ll keep feeling you need to be better before going after your happiness, excitement, and purpose. Flip that around TODAY and take your first step towards your purpose. Don’t wait to be confident or waste your life going through thinking something is wrong with you. There isn’t. Decide it’s worth bravery to live a creative life, with your whole heart, to find your treasures and create. Will you say YES and take the first step? These 24 creative individuals will help lead you up to the starting line to your bold and creative life. Go straight to the sources and check out their sites and resources and carve your own path. 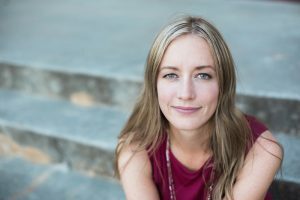 Rachel Bourne is the creator of an upcoming website Sassy Samurai — dedicated to providing Social Anxiety and Shyness Support for You to gain the tools and confidence to go after what you want.